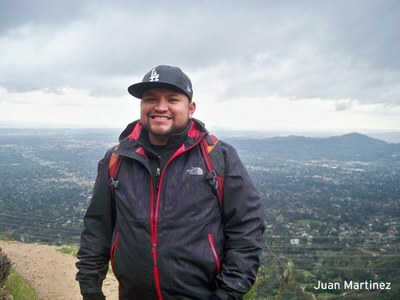 This piece by Juan Martinez talks about how getting outdoors changed his life trajectory. We were honored to have him as a keynote speaker at last year's celebration of the Wilderness Act. I grew up blind to the American legacy of public lands — an inheritance for all people, regardless of background, language, or creed. I get shivers to think of what my life would be without the rush of climbing mountains in the North Cascades, diving into alpine lakes in the Grand Teton backcountry, or having Elysian Park as a family gathering place for our “Carne Asadas,” our version of a family BBQ. I found my soul in the wild and the heart of my passion within my family in the city of Los Angeles. I was raised in a poor neighborhood in south L.A. I struggled watching my parents pay rent. Sometimes they had to take food out of their mouths, so that my two younger sisters and I could eat. The people I saw taking care of their family and taking care of business were the gang members. So I considered that as a career path — not because they were the ones that had the girls and the cars, but because they were the ones who took care of their families. And I loved my family. But it wasn’t all bad. I grew up going to baseball games at Dodger Stadium, which sits right in the heart in Elysian Park – one of the biggest parks in LA. And I remember going out on the weekends with my family and them taking me on trails and showing me all this amazing stuff that they knew. I went to Dorsey High School. You might not know Dorsey that much but you might know Crenshaw high school. Crenshaw and Dorsey are rival high schools, but they’re more than rivals in the traditional sense of rival high schools, they’re the birthplace of the Bloods and the Crips. So I picked a bag of jalapeños. Because I wanted to grow something for my mom. All the sudden I started worrying about photosynthesis and the PH balance and the UV radiation! And all this different stuff that would make my jalapeños grow. At the end of that semester, they gave me the opportunity to go to the Teton Science School in Wyoming. Now, for a kid who’s never been out of south central, to see mountains for the first time and to look up at the night sky and count… I couldn’t even COUNT the stars. For the first time in my life, at the age of fifteen, I saw more stars than I could count. And I had to pinch myself and look at that shooting star and say to myself, “no, that’s not the ghettoberg coming out to get me.” Now, the ghettoberg for those of you who don’t know — you won’t find this in the Audubon book — it’s a police helicopter. I went back home and found mentors and friends and family and people who supported me in this. And in 2005 this guy name Richard Louv wrote a book called No Child Left In the Woods. In it, he coined a phrase called “Nature Deficit Disorder.” Don’t worry, you don’t have to take drugs for it. It’s an easy fix. All you have to do is get outside. Because we have seven billion people in the world today. But if you were to put all of those seven billion people shoulder to shoulder with each other, they could all fit in the city of LA. So it’s not necessarily that we’re running out of space, it’s how we’re using that space up. The more high tech we become the more nature we need. If human beings are to enjoy nature, they will most likely have to do it in urban areas. Adults have Nature Deficit Disorder too. Conservation is not enough. We need to create nature. You can create your own reasons. But just imagine for a moment, a society where our lives are as immersed in nature as the average teen is in technology. 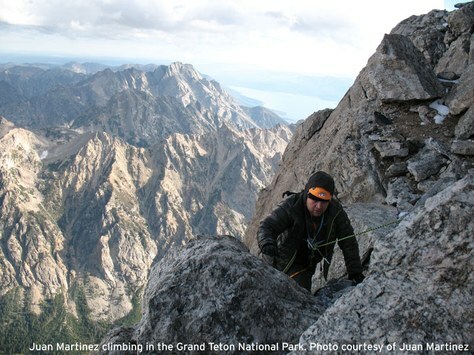 A couple years ago, I got to climb the Grand Teton. I went from being that kid from South Central, to realizing that somehow I was connected to those mountains. Somehow, my community in LA was connected to the mountains up there. And it all made sense. The world made sense to me. Science and math and history and English and all of the different things that were happening in this world made sense to me because of that. I went on to be the first one in my family to graduate from high school. So that’s my story, and I wanted to share it with you because if a kid from South Central, who was about to be a gang member, can grow up to be a National Geographic Explorer, then don’t ever in your life doubt what you can do. As our nation continues to grow, becoming more diverse but also increasingly urbanized, there are two big challenges we face. First is maintaining the cultural connections that make us who we are, and the second is making sure that we are spending enough time outside, in nature, getting exercise and experiencing the outdoors. While these two challenges may not seem connected, as an outdoor educator who works every day to get more young people of all backgrounds outside – it is essential that our nation’s diversity be represented in our outdoor experiences. From the availability of quality outdoor spaces to improving outreach to diverse communities and ensuring our National Parks tell the story of all Americans, when youth see themselves reflected in their public parks and lands they are much more likely to visit them. In late February, President Obama made monumental progress towards addressing these challenges by protecting sites that honor our nation’s diversity and announcing that every fourth grader in America will have transportation to experience the great outdoors. Additionally, the President’s action to protect the Pullman Historic District in Chicago, scenic Browns Canyon outside of Denver, and the historically significant Honouliuli internment site in Hawaii improves the representation of all Americans in our public lands. With the Antiquities Act, the President can protect these sites as national monuments, preserving them for future generations of Americans and making progress toward ensuring that our public lands and parks are a reflection of our nation. While it’s one of the most important aspects of preserving our nation’s history, the theme of protecting places representing all walks of American life is often overlooked by policy- and decision-makers. According to a report from the Center for American Progress, less than 12 percent of the United States’ national parks and monuments have a primary focus on women or minority communities, despite the nation’s rapidly changing population dynamics. With each new national monument designation from the Obama administration, we’ve seen encouraging steps towards proper recognition of the past for Americans of all stripes. The recent designation of the San Gabriel Mountains in Los Angeles, Organ Mountains-Desert Peaks outside Las Cruces, New Mexico and Chimney Rock in Southern Colorado show the range of treasured sites that Antiquities Act can protect, from large landscapes that include essential habitat for wildlife and outdoor recreation opportunities to safeguarding elements of our nation’s past. As a National Geographic explorer and proud native of south Los Angeles and a life-long conservationist, my connection to community, culture and the environment runs deep. The President’s youth initiative and these national monuments serve the same purpose and enable people from all types of communities — city natives and rural residents alike — to have access to our nation’s wonderful natural resources, to see the story of all cultures included in historic sites and safe, protected outdoor public lands with clean air and water for all. These are experiences all Americans deserve, a birthright, to have and enjoy, and we must support efforts to preserve our history and our lands for future generations. This article originally appeared in our May/June 2015 issue of Mountaineer magazine. To view the original article in magazine form and read more stories from our bi-monthly publication, click here. Juan was one of the keynote speakers at our Explore Washington's Wilderness event last year, that celebrated the 50th Anniversary of the Wilderness Act and was a call to action for the future.